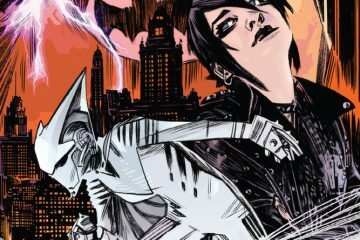 Who is ready for another iteration of a Batman origin story? 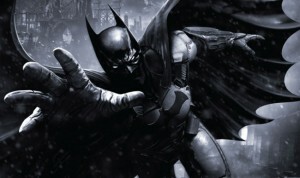 Ready or not it was announced today that we will be getting another one in the form of Batman: Arkham Origins. The game was revealed as the cover story for this months Game Informer and will be released on October 25 worldwide for Playstation 3, Xbox 360, Wii U and PC. The game will not be developed by Rocksteady Studios, who developed Arkham Asylum and City, and will instead be developed in-house at Warner Bros. Games Montreal. There was also no mention as to whether or not the game will be released for next-gen consoles which are reported to release next fall as well. As with most prequel stories, Arkham Origins will take place long before either of the other Arkham games and will star a much more inexperienced Dark Knight. Batman will also be encountering many of his rouges gallery for the first time. The Game Informer article had an image of Deathstroke who will be making his first appearance in an Arkham game. What do you think? Are you excited to dive back in to the Arkham universe or does the fact that Rocksteady isn’t involved a cause for alarm? Let us know in the comments below. I’m skeptical because (a) this isn’t developed by Rocksteady and (b) it’s getting released this year and this is the first we’re hearing about it. Although it’s been two years since the last Arkham game, I can’t help but feel like this is too soon. I’d rather have a third Arkham game on next generation consoles; this seems too much like a rush to get a trilogy out for current generation hardware so there’s an excuse to not only sell another game but a trilogy set in the future as well. I know I sound a little cynical for a game that’ll probably be just as good as the last two but after seeing the Assassin’s Creed franchise diminish in quality due to yearly releases, I’d hate to see Batman fall into the same trap. Any word on Kevin conroy doing batman’s voice? I’ll buy it regardless but that’s a HUGE must for anything batman that’s not live action! Yep. Kevin has confirmed that he is indeed playing Batman in Arkham Origins. I don’t know about the rest of the cast but I’m really glad to see that he’s on board. Hope that helps.